^ Career Prize Money Leaders (PDF). WTA. 2016-08-29 [2016-09-04]. （原始内容 (PDF)存档于2016-06-12）. ^ Serena Williams: How can you win a Grand Slam while pregnant?. BBC Sport. [20 April 2017]. 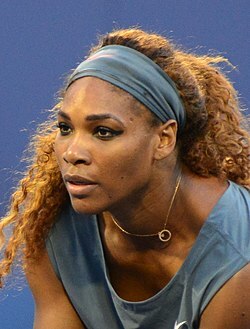 ^ Serena Williams Withdraws from BNP Paribas Open. BNP Paribas Open. [20 April 2017]. ^ Serena Williams planning 2018 return after confirming pregnancy. BT Sport. [20 April 2017]. ^ Erica Gonzales. Serena Williams Fans Cannot Handle That She Won the Australian Open While Pregnant. Yahoo.com. 2017-04-20 [2017-07-15].